A new expanded edition of Vampire Over London: Bela Lugosi in Britain has been published by Cult Movies Press. 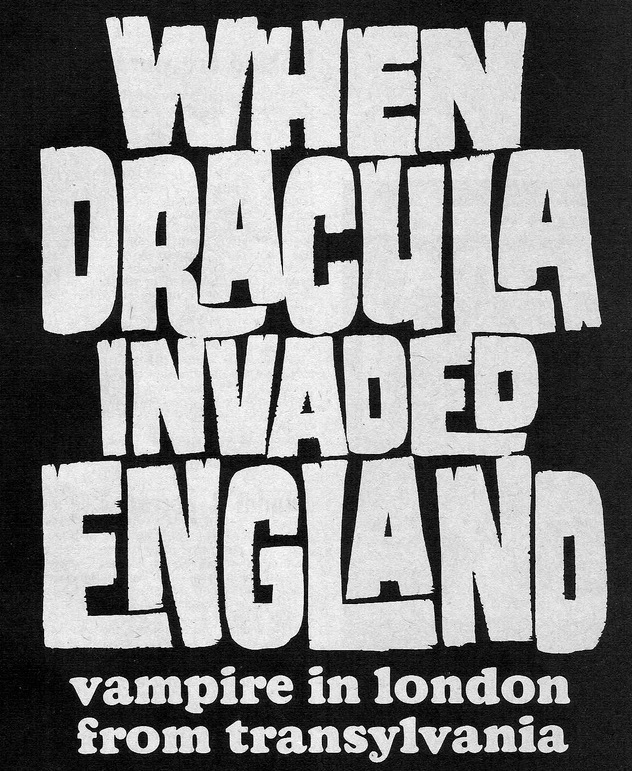 Please see Vampire Over London: Bela Lugosi in Britain” New Expanded Second Edition for details. 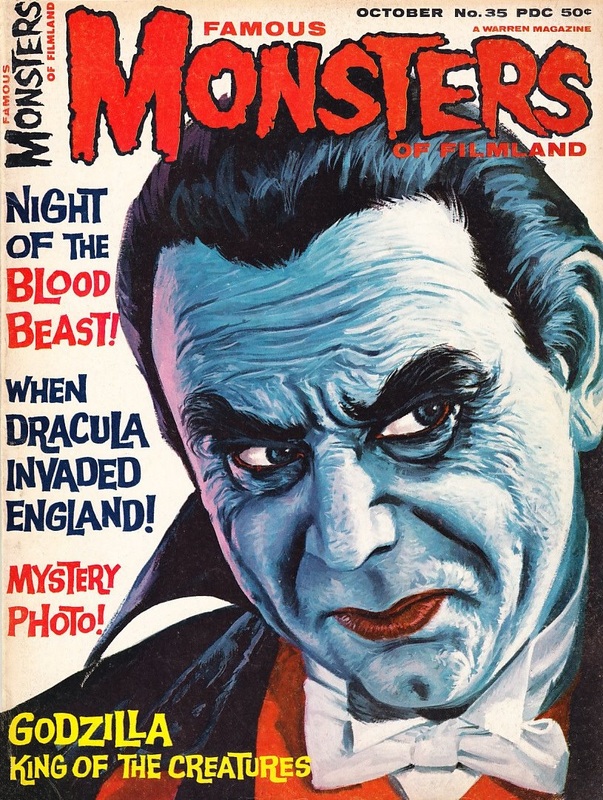 On the night of 10 April 1951 the notorious Count from Transylvania invaded Great Britain and, somewhat to his surprise, found the island’s inhabitants perfectly willing to surrender! The Master Vampire, it is reported was not accessible immediately after his arrival and was not, indeed, on hand for an interview for at least several weeks. 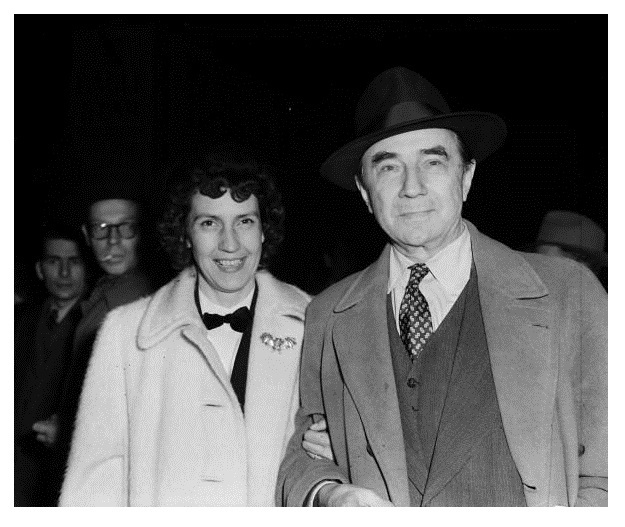 But as his bad-will ambassador, Bela Lugosi, was present, accompanied by his 4th wife, Lillian. Unconfirmed sources insist that the latter was secretly the Bride of Dracula but her fondness for daytime appearances sheds doubt upon this statement. Apparently convinced that Mr. Lugosi & Dracula were one and the same person, crowds of squealing teenage fans and squealing middle-aged newspaper reporters followed him wherever he went. Odd scraps of paper were constantly being pressed into his hand and he would obligingly scrawl his autograph in blood-red ink. His fans were delighted by this symbolic touch. 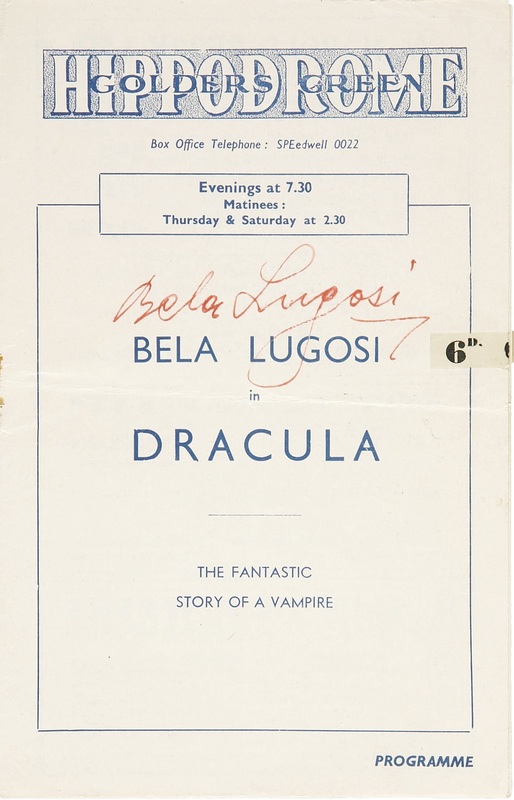 Female fans, who comprised the majority of the crowds present, regarded Mr. Lugosi with the same sighing idolization normally reserved for Danny Kaye or Frank Sinatra – the most popular American movie stars at the time. These girls would either watch him wide-eyed or greet him with excited giggles as he toured the country, performing mock terror scenes over delighted “victims”. “All the time,” he replied. “I often eat 6 at one sitting.” An enigmatic gleam – possibly humor, or perhaps . . .
“When I can get them,” Lugosi replied. Now, in addition to the gleam in his eye, there appeared a slight twist of the mouth. He was prepared to go on in this manner indefinitely when finally the reporter’s courage gave way and he made an abrupt exit. Lugosi broke into a broad Slavic smile. In his youth Lugosi was the goalkeeper for the football team in Transylvania – the name of which has not been… unearthed. Having not known Lugosi as well as we, the reporters were interested in whether he found the role of the vampire prince enjoyable because he shared some of the fiend’s innate wickedness. Lugosi answered, when he recovered from the shock, that the worst thing he ever did was to steal hats! The conversation drifted from to the origin of his career. “Over there you have a 4-year training course, and once you have passed thru that you have nothing to worry about. Even in your old age you still get a pension. In America there is always the fear of unemployment. If he was so successful, they asked, why did he leave Hungary? “I left my country in 1920 and have never been back. I do not like to live under a dictatorship of any kind, and I am now an American citizen. “When I came to Broadway in 1923 I played still romantic parts – the Spanish lover in ‘The Red Puppy’ (sic) and the Valentino-type sheik in ‘Arabesque.’ Then they wanted someone to play Dracula. In America, you know, they have the type system of casting. And there was no male vampire type in existence. We need not elaborate on the outcome of that venture. Then suddenly Lugosi made an announcement which, for the monster master, was totally unexpected and almost unbelievable. But Lugosi did not switch to comedy and abandon the horror field, as the record of his subsequent films proves. He was, however, a natural for less serious roles. The reporters found him a mild-mannered, inoffensive gentleman with a pronounced Hungarian accent and a personality that would be envied by many. As photographers took publicity stills of the “Dracula” company, he even assisted with the lights and offered friendly advice. At other tomes he sat quietly at the side of the stage, coming out with occasional wisecrack (sic) or calling a friendly “Hi!” to the theatre folk as they went about their work. When all was ready for the publicity stills, he grabbed his leading lady for the play. She slumped helplessly in his arms as he exposed her lily-white throat and bared his fangs. The flashbulbs flared, the cameras clicked and the reporters happily went on their ways. Bela met his British fans at the Sunday Pictorial Film Garden Party at Morden Hall Park in Surrey on June 16th. Reporters of the time were let in on a few secrets hitherto or quite unknown to monster fans. Normally he has rather small hands, but with a flick of the fingers he was able to twist them into one of the terrifying positions so well known to monster fans. Suddenly his fingers looked immensely long and thin. And many times that young girl reporter would mistake Lugosi’s usual tongue-in-cheek attitude for a fang-in-throat true account! For horror, he said realistically, is not what it used to be. When the play was first presented on Broadway there were members of all audiences who took it literally. People screamed and fainted. First-aid staffs were kept busy. Lugosi as Dracula did not then dare to pretend to bite his victim’s neck, for fear of hysterical reaction from the public! Now the customers, especially the children, know it all. 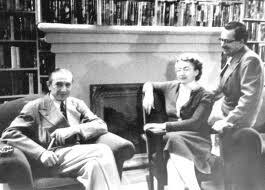 They have seen plenty of horror films with Lugosi taking part, and they are more sophisticated, as they were even in 1951. 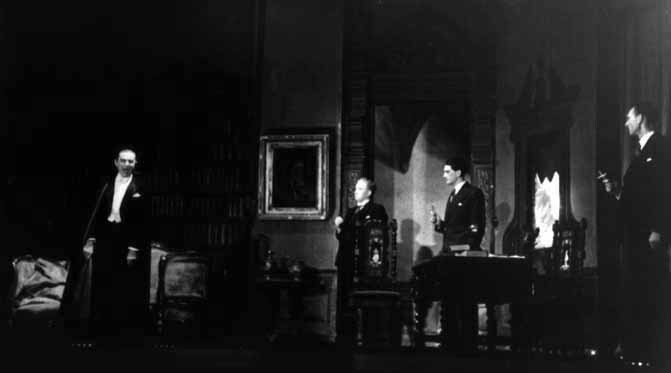 The British production of Dracula acted on the presumption that there was still, nevertheless, a strong public demand for the old-fashioned spine-tingling horror play – provided it was properly presented. Capacity audiences endorsed this view when Dracula premiered. No concessions were made to changing or more sophisticated tastes among the theatregoers, save for a slight modernization of the setting, with the result that demoniacal laughter often rang thru the theatre, the air was seldom free from the distant barking of dogs and wolves and from unidentifiable whistles, clammy mists swirled thru doorways and windows and, in fact, almost every feature of unabashed melodrama was present. 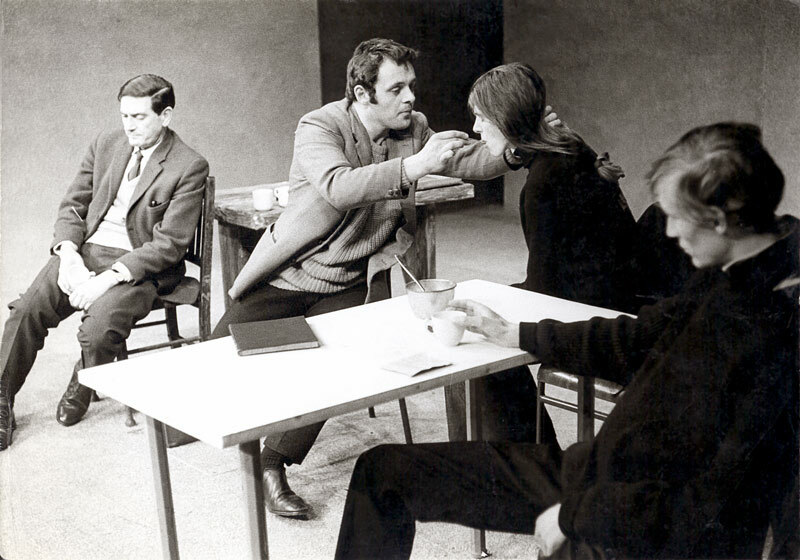 Strangely enough, in the more recent production, there were uniformed first-aid attendants on duty throughout the play, even tho the most horrific bits were inclined to inspire more titters than gasps. There have, however, been actual cases of shock in the audience – but those were all elderly people. Good Guy Or Bat Guy? This increased awareness among audiences, plus his desire to change to comic roles, almost caused Lugosi to react against his will. Often he found himself tempted to play Dracula for laughs – especially in his curtain speech, when he said, “There are such things as vampires,” and vanished in a puff of ghostly mist. This is melodrama in the Henry Irving tradition, magnificent, macabre and gloriously bloodcurdling; not staged, but invoked, and declaimed rather than acted. Hollywood could never provide realism like this. At a lesser theatre it would be capacity twice nightly. In the modernized version of Dracula most of the action took place in the asylum of Dr. Seward (Arthur Hoskins) at Hampstead Heath Row. His daughter Lucy was played by Sheila Wynn, and the attendant, furnishing comic relief, by John Saunders. With that he began operations on London’s outskirts, where the Count in black, reeking of brimstone and tombstone, claimed the blood of the living as his due. At last Dracula was laid to rest by the final driving of a yard-long stake thru his heart. “Shall I tell them the one about the elephants?” he asked. Alas, we shall never be able to hear it. Hitherto we have seen the several faces of Bela Lugosi: Bela the Vampire, Bela the Jester, Bela the Actor. But we have yet to see the final face – that of Bela the Man. “He tells me he loves me every single day. I think that’s very nice, don’t you? Men get so neglectful. I know when he’s angry with me – the day he doesn’t tell me he loves me. What does he read in his spare time? “I love women’s fashions,” he added. (1) Although pre-publicity for Bela’s final British film gave the title as Old Mother Riley Meets the Vampire, the film was released as Mother Riley Meets the Vampire. It was released on August 18, 1952. Glen or Glenda was not released until 1953. The confusion over the order in which the two films were released in the article arises from the fact that Mother Riley Meets the Vampire was not released in America until 1963 as My Son the Vampire. The film had failed to find distribution in America when released in 1952 under its original export title of Vampire Over London. 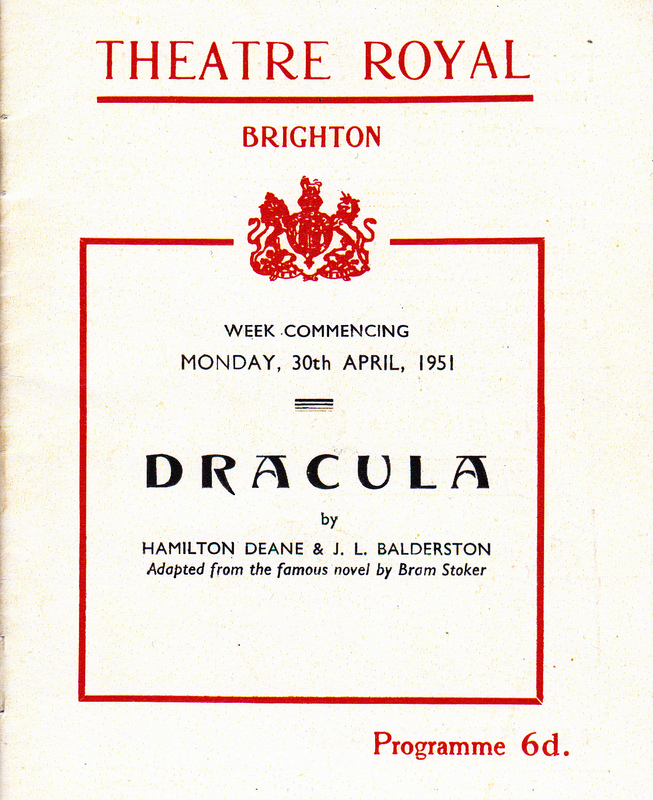 (2) Dracula premiered at Brighton’s Theatre Royal on April 30th, 1951, not June 16th as stated in the article. (3) Photos of Bela and Lillian’s arrival in England show Lillian, sans beret, wearing the silver bat broach on the lapel of her overcoat.